You would like to have your carpets professionally cleaned? We can assist you with that! Our company is close to you in East London and we have enough of skilful carpet technicians, who would be happy to assist you. For your convenience, we have a practical price system and reply quickly to every request. Just tell us when it is convenient for you and leave the rest to us. You make the right choice by working with us because we use the most efficient method for cleaning carpets, which doesn’t involve any toxic cleaning products and won’t cause health issues to your family. Our technician will clean every area of your carpet precisely only with the use of a steam machine. Since carpets accumulate dust and grime for a short period of time, we understand completely that our customers need a reliable cleaning solution. We are proud to say that we select carefully the cleaning experts that we collaborate with. 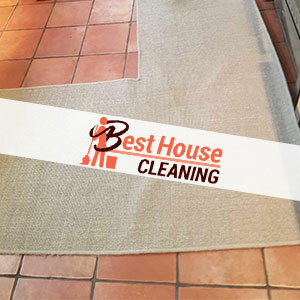 All of them work with us for many years now and possess the necessary knowledge and experience to clean efficiently every filthy rug or carpet. Hire one of them and you also will benefit from their professional skills. What we have for you is a deep steam cleaning by the method of hot water extraction. Our technician will first hoover the carpet and pre treat any stains. After that, he will clean diligently all areas, using only a steam machine. For your convenience, he will be able to remove up to 95 per cent of the moisture after the cleaning, so you don’t have to wait too long until your carpet is dry. Leave the carpet cleaning to us and spend your time doing more important things. We know that you would like to get good value for your money and we won’t disappoint you. Our excellent carpet cleaning services are available everywhere in East London and the nearby areas.